Dental veneers are a popular dental aesthetic treatment that can completely transform your smile. The results are almost immediate and look naturally stunning. If your teeth are uneven, damaged or different sized then dental veneers are an ideal option if you want to achieve a perfect, even and natural looking smile. The course of dental treatment does not require lengthy preparation time or many trips to the practice so it really is a great smile makeover treatment. 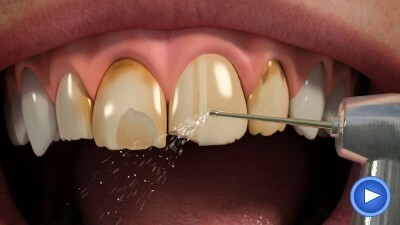 Dental veneers are very thin porcelain sheets which are bonded to the front surface of the tooth. They can be colour graduated to appear more natural or as white and bright as you like. Once applied, they are then shaped, aligned and refined to achieve the desired smile you are wishing for. 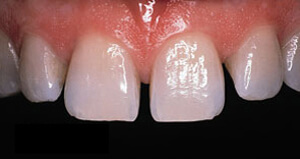 Dental veneers are very strong and can last for many years. 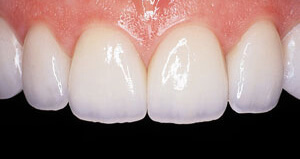 At Freedom Dental we are proud to use Emax ceramic for the construction of our private porcelain veneers. This material offers the highest strength and aesthetics and can be produced in very thin layers meaning minimal preparation of the underlying tooth is required. If you are interested in changing your smile and would like dental veneers then the first step is to book a consultation with Freedom Dental. Our dentist will carry out a smile analysis to assess if dental veneers is appropriate and will also understand your wishes for your perfect smile. The benefits of dental veneers? Veneers are sculpted individually for each patient so it almost becomes impossible to detect the difference between a veneer and a natural tooth. Veneers also do not stain with coffee, red wine and cigarettes like natural teeth and your natural teeth do not need to be removed before treatment. Preparation only requires minimal alterations before application. If you would like a consultation or wish to find out more about dental veneers, please call Freedom Dental on 0161 486 6821 or click here.